You are here: Home / News & Events / Library Calendar / TGIF Movie with Popcorn! 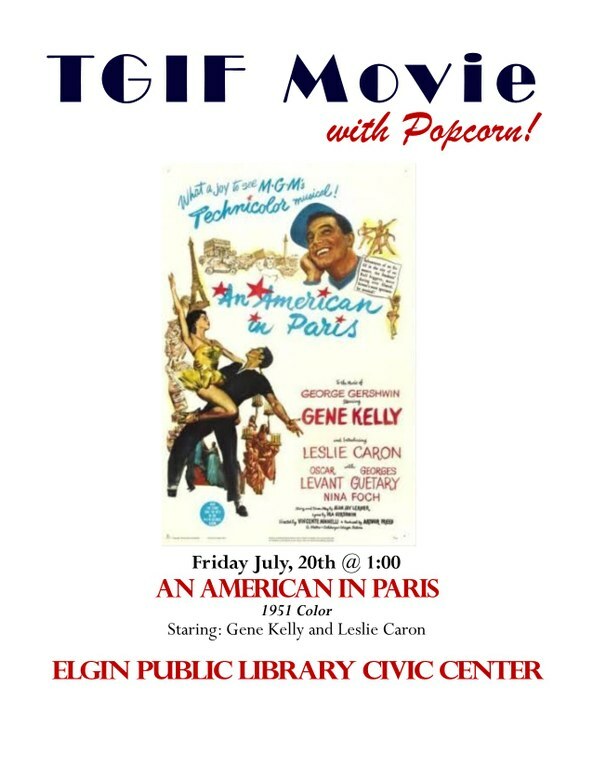 Free family movie with popcorn sponsored by the Elgin Public Library. All dates Oct 21, 2016 from 01:00 PM Nov 18, 2016 from 01:00 PM Dec 16, 2016 from 01:00 PM Jan 20, 2017 from 01:00 PM Feb 17, 2017 from 01:00 PM Mar 17, 2017 from 01:00 PM There are 18 more occurrences.